You are invited to sign up for a $40 2 class trial option. This option allows you to trial 2 weeks of class before deciding to commit for a full term. If you LOVE the class and would like to continue then the remaining balace of $160 is due after the 2nd trial lesson. To select this option please go to the registration page and select your class. In the NOTES section write "$40 Trial" and only pay $40 into the Imagination Dance bank account (disregard the automatic invoice for $200). We have an open door policy at Imagination Dance. It is our goal to provide your children with a positive and uplifting dance experience and we want you to be able to see what goes on in the classroom at all times. Parents are invited to watch class from the doorway at each location. For all 5yr+ Performance classes we do ask that parents drop off and pick up their child from class to ensure each child's full attention and to make the performances even more special! You can always schedule a makeup class by emailing imaginationdance@live.com.au with a class, time and date that suits you (and preferably isn't full). There is no specific dress code at Imagination Dance for 2-5yr classes. We do recommend that the dancers wear a ballet or princess dress with ballet shoes for Imagination Ballet and Mummy and Me and jazz pants and jazz shoes for ballet/jazz combo classes. All 5yrs+ Performances classes are asked to wear the Imagination Dance t-shirt that can be purchased online via e-mail. This can be worn with black pants, skirt or shorts and black jazz shoes. All performance students may require a $50 costume fee depending on their item. If you LOVE to perform then try out one of our ID Performance Classes. These classes perfom in a local fair in term 3 and end of year concert in term 4- both super low-key and fun! See Classes and Registration for more information. Photographs of Imagination Dance students may occasionally be used for promotional purposes and on social media. Please contact us if you prefer that your child's image be kept private. Imagination Dance is a Registered Provider with the NSW Government Active Kids Initiative meaning school-enrolled students (Kindy-Yr 12) who hold a current medicare card can claim up to $100 off term fees per calendar year. Vouchers are valid only for regular term dance classes- NOT holiday camps. - Apply for an Active Kids voucher through Service NSW. - Send an email with voucher number, students name and voucher amount. - Once approved by Service NSW, we will discount this amount from your term invoice. The heart of Imagination Dance is teaching and loving children. 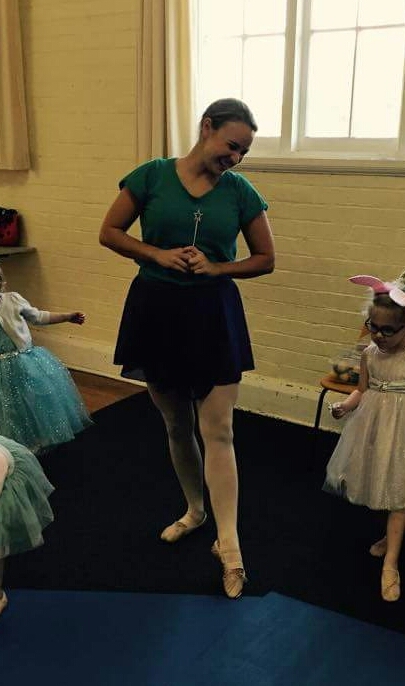 The Imagination Dance teaching team is carefully selected and trained to be the absolute BEST childrens dance teachers in Sydney. We have no doubt that you will see how loved and valued your child is within each Imagination Dance class. The Imagination Dance team values creativity, education, and relationships. We desire to see your child grow not only in dance but also in heart motives. The key heart motives that we focus on in our classes are patience, kindness, self-control, and obedience. We conduct all of our classes in a creative fashion. We believe that dance should be FUN and JOYFUL!!! You will be amazed at what your child is able to achieve in their Imagination Dance class. Imagination Dance is a very blessed company and we desire to bless others. 10% of all intake goes towards sponsoring children through Compassion Australia. We love our Compassion Kids and pray for them often. Imagination Dance is also commited to providing scholarships to kids who need them. Please contact Khali at imaginationdance@live.com.au if you are in need of an Imagination Dance scholarship. When you call or email imagination dance you will be directly in contact with Miss Khali. She LOVES chatting with the beautiful parents and is more than happy to answer all questions that you have. She wants you and your child's Imagination Dance experience to be filled with warmth, encouragement, love, and joy! Miss Khali Grimshaw is one of the most passionate and amazing children's dance teachers you will ever come across!!! Her LOVE for kids, dance, and the performing arts is evident in each and every class that she teaches. Miss Khali is a RAY OF SUNSHINE and is very loved!!! Miss Khali is the Director of Imagination Dance. She first started out as a teacher in 2010 and was so loved and respected by Brittany that she was asked in 2015 to partner in the business and eventually become sole director. Khali is currently studying a degree in Early Childhood Education (Birth-12yrs) at Macquarie University and has a strong play-based philosphy that children are capable, competent and worthy! Brittany loves to dance and sing and act! Even more so, she loves to teach children to dance and sing and act!!! Brittany has been teaching children performing arts for over 15 years.She has taught from coast to coast in the United States, from New York City all the way to Arizona. She has even had the privilege of teaching dance in Turkey! After dancing as a professional ballet dancer, performing in Broadway productions, and graduating with a B.A. in dance, Brittany realized that her huge passion is teaching children's DANCE! After marrying her husband Matt and moving to Sydney, Australia, Brittany was lead to open Imagination Dance...A dream come true! Brittany is now the proud mamma to baby Schotia + June who are her pride and joy! In her spare time she loves to dream up children's dance and theatre productions with Miss Khali and the other beautiful Imagination Dance teachers.